In the last week, I have come out of the blogging anonymously closet and identified the ten commandments of me. 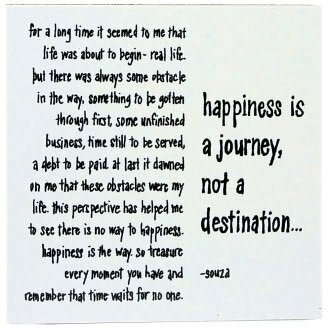 I am so grateful for the support I am receiving from everyone as I rediscover my focus and embark on my own happiness journey. "What if my belief in God alienates someone?" "Not all of my readers are Christian." "I don't want to force my beliefs down someone else's throat!" "It's a nice list, but (and not to sound above you or anyone else) I think that if you truly did # 1, that there would be no need for the others. In believing in Him, putting your faith in Him, and trusting in Him. You would Find Purpose. You would make a difference. You would Love yourself. You would not blink. You would be patient... Again, not trying to sound snarky. 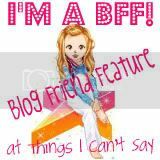 I enjoy following." J-Tony's comment was so right on. If I truly followed my 1st Commandment, God before all else, there would be no need for the others. My response to J-Tony? Alas, I am only human. Which is why I have written these commandments. These ten seemingly simple things are basic guiding principles to help me decide how to react to life. And while in an ideal world I would be able to fulfill the 1st all day everyday and have everything else just fall into place, we do not live in an ideal world and I need these commandments to help illuminate my way. So today, after visiting some of you, I am going to write out my commandments. I'm going to hang them in my bathroom. I'm going to pin them to my visor in my car. And I'm going to write them in the front of my planner. They will serve as a constant reminder of the behaviors I would like to define me; and hopefully in time, they will. J-Tony drives it home... how complicated we make things sometimes. I love the reminders to keep it simple and focused. Thanks for the link too...I'm off to check it out. Constant reminders are why so many people wear a cross, post them on their walls, keep pictures of Christ. You list is just one of those reminders. I love it! So very true! I'm certain that God will bless your desire to put Him first in all you do. Thanks for the reminder for me, too! Visiting from SITS ... God bless you! It's nice to watch your transformation. - from one of your non religious readers who couldn't give a hoot that you are or if you want to talk about it. I am struggling with my faith severely. I had actually wrote a post scheduled for tomorrow but I'm worried about the comments I'll get. I know people would never guess, but my faith is so important to me. i love this. and kimberly? just write. don't worry about comments. Hey thanks for the shout out. And just like you said, we are all only human. 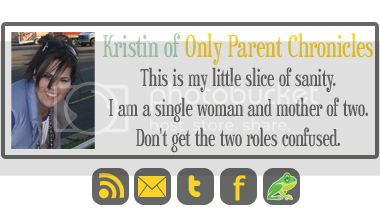 Kimberly~ MommaKiss is absolutely right. Just Write. Don't worry about the coments. Blog for you, write for you. Keep it simple. Be grateful. Nurture yourself. You should write whatever you want. As one of your Jewish peeps, I'm cool with whatever you have to say, and whatever works to make you be YOU. Ya know? Now go and be however you need to be. I support and love ya!